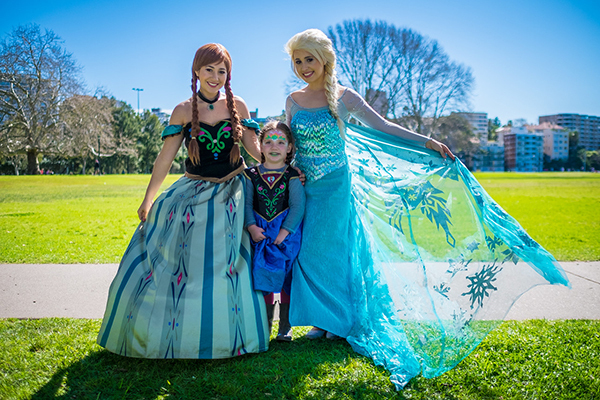 In the world according to four-year-olds, it’s Elsa and Anna for life. 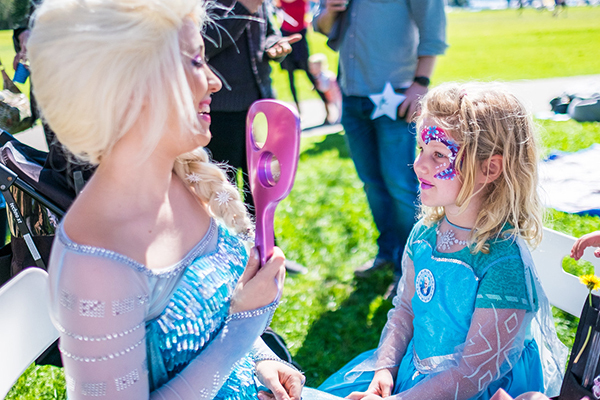 So when our founder, Mandi’s daughter Audrey turned four, Mandi let the snowflakes fly for a Frozen party in the middle of spring. 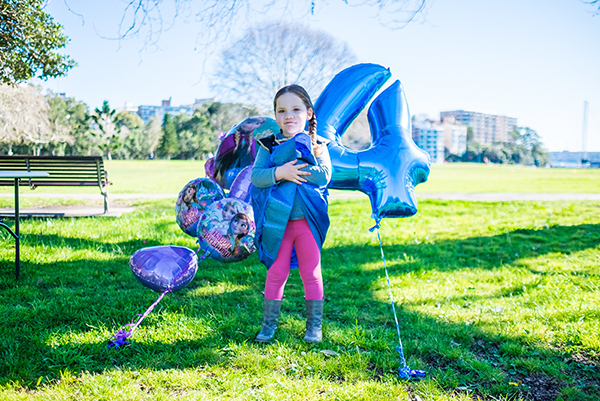 A sunny park in Sydney’s eastern suburbs was turned into a winter wonderland when Audrey’s party rolled in. 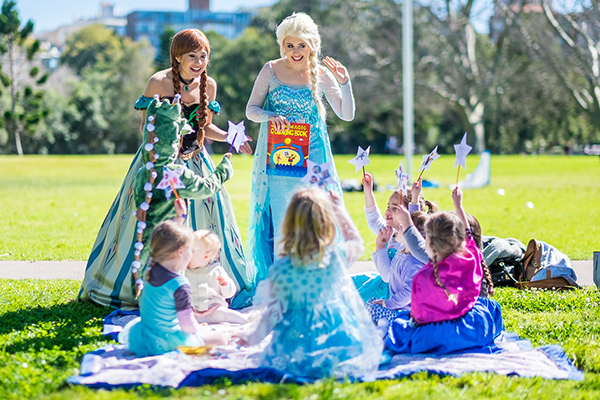 Twenty tiny Elsas, Annas and their pals were entertained by two energetic princesses from Happily Ever Laughter. They led the kids in games like ‘Pass the Olaf’, doing craft and painting faces and arms. Mandi said the entertainers went above and beyond, staying until the last children left. Although there was proper lunch on offer, with sweet treats from Copper and Cocoa, we suspect Mandi had some leftover finger sandwiches to take home. 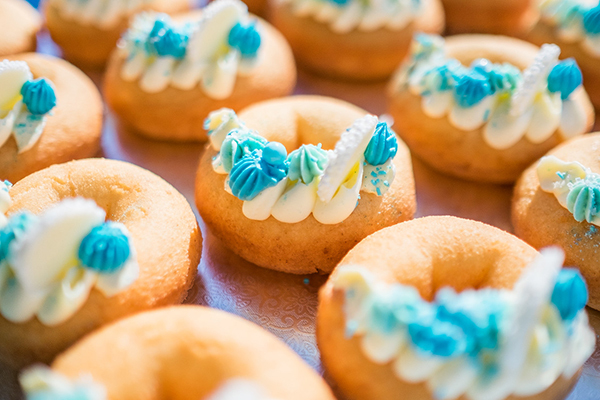 Kids were treated to blue jelly, doughnuts iced with blue and white frosting and handmade marshmallows. 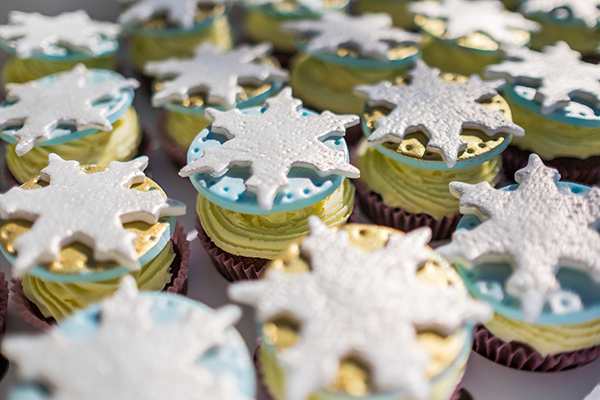 Copper and Cocoa know their stuff; they only needed to hear “Frozen-themed” and they were off to make their most delectable, chilly creations. Second only to the birthday girl herself, the birthday cake from Cakes by Lila was the party’s pièce de resistance (so incredible, in fact, that strangers in the park were taking photos of this amazing work of art!). 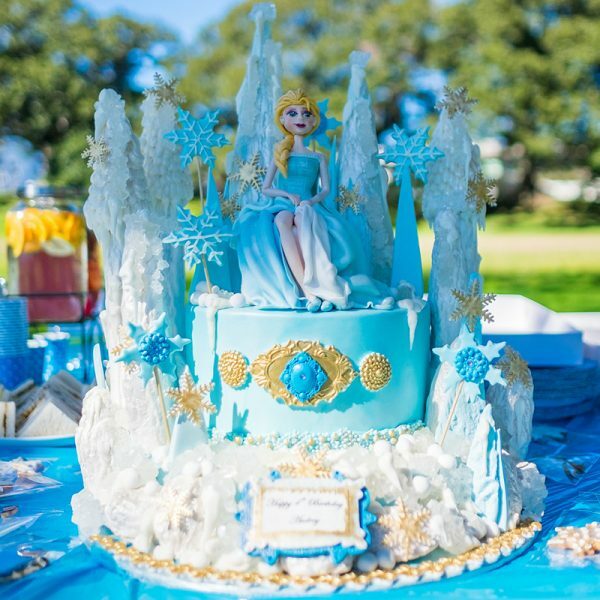 Adorned with towering sugary icicles and flurries of shining blue snowflakes, the cake was throne to Anna, whose thick blonde plait was tossed over her shoulder, and whose blue gown cascaded down the blue cake. The words “Happy 4th birthday Audrey” were framed in gold dust at the base of the cake, and the whole confection was surrounded by gold flowers. For party favours, Mandi opted for baking supplies from Sweet Health. Sweet Health packs all the dry ingredients needed to bake into vintage glass milk bottles. 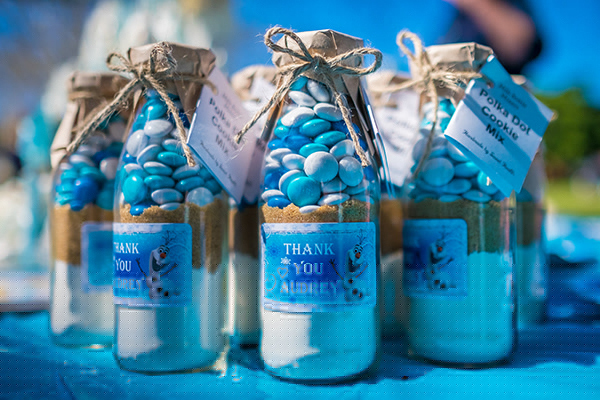 There are cookies and hot chocolate mixers, and they’re perfect for party favours or gifts. Of course you’re wondering where you can get all the kit for your very own Frozen party, and Mandi was happy to share her suppliers. Want to share your child’s wow-worthy party with us? Then just fill in the Show us your party form. While we can’t reply to every email, we’ll certainly let you know if your party is chosen to be showcased on Babyology. We can’t wait to hear from you and look forward to seeing your amazing parties!